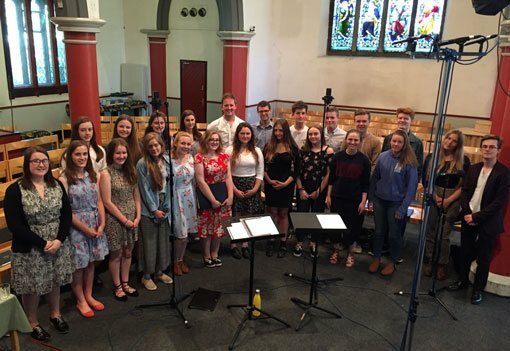 The Chapter House Youth Choir was established in 2016 and has already performed in some amazing events, including sharing a platform with the King’s Singers, rehearsing with legendary composer John Rutter and singing live for the BBC Radio 4 Daily Service. 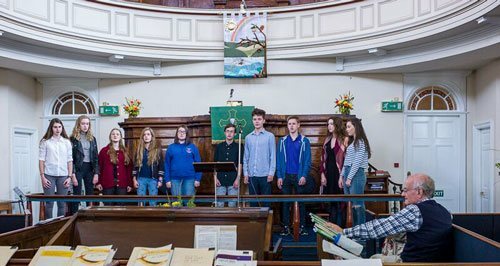 The Youth Choir offers young singers aged 13-19 a place to sing choral music to the very highest standard. The choir is a fun and dedicated group of musicians from a wide range of backgrounds who love to sing. Rehearsals are in central York on Tuesdays, 5.15-6.45pm. We are thrilled to have Charlie Gower-Smith as the Musical Director of the Chapter House Youth Choir. Charlie is a young, energetic and bubbly choral director who already has a wealth of experience as a singer and conductor. 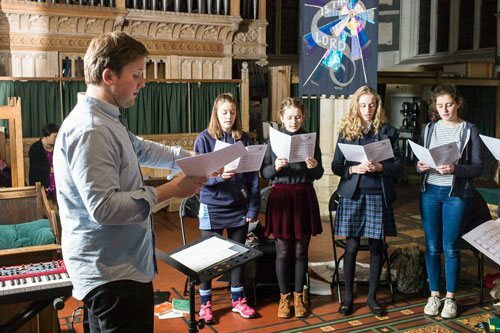 The Chapter House Youth Choir gave a broadcast of the Daily Service on BBC Radio 4. The service is the longest running programme on British radio, first broadcast in June 1928. It features speech and a reading, hymns and an anthem. CHYC will be singing Bob Chilcott’s God So Loved the World and two hymns, live from Emmanuel Church, Didsbury, on Thursday 28 June at 9.45am. The Youth Choir sang works by Parry, Elgar, Tavener, GJeilo and Farrant and joined the Chapter House Choir in the BBC Radio 3 commissioned work, The Pankhurst Anthem – words and music by Helen and Lucy Pankhurst. The Chapter House Youth Choir performed alongside the Chapter House Choir and The Handbell Ringers of the Chapter House Choir in a celebration of the festive season with carols old and new. Events earlier last season included Choral Evensong at Durham Cathedral on Monday 10 July 2017. On November 2017, the Youth Choir took part in the second performance of Everyone Sang by Roderick Williams, in Ripon Cathedral, performing with the Dishforth Military Wives Choir, The Cambridge Chamber Consort and The Yorkshire Decibelles. In March 2018 the choir presented a concert of “Songs of the Sea” in York, and sang the chorales in a performance of Bach’s St John Passion in Ripon Cathedral. The Chapter House Youth Choir is always on the look-out for new members. Members will probably already play an instrument or sing in a choir. Chapter House Youth Choir offers unique performance opportunities and a chance to meet like-minded young people who are passionate and enthusiastic about singing. Entry to the choir is by audition with the Musical Director. Please get in touch via the contact form or email youthchoir@chapterhousechoir.org for more information. Charlie Gower-Smith works as a freelance musician across Northern England. He directs chamber choir South Bank Singers, and the Chapter House Youth Choir. In demand for his inclusive, informative and encouraging style, Charlie works with many organisations to facilitate singing in the workplace. He runs regular workplace choirs for John Lewis, Addleshaw Goddard, Leeds City Council, and TransPennine Express, a Hallé Corporate Choir. Work with festivals has included various choral projects for the Grassington Festival, and assistant choral director for the Pennine Spring Music Festival in Heptonstall. 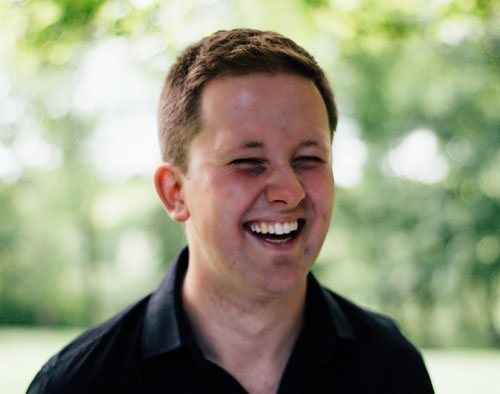 Charlie has worked with many choirs across the country including Leeds Philharmonic Chorus, Trinity Singers Cambridge, and the Hallé Youth Choir. He sings with Ex Cathedra and Ripon Cathedral Choir as a deputy. Previous roles include director of Leeds Chamber Choir, with whom he gave regular broadcasts of BBC Radio 4LW’s Daily Service, and assistant director of the Hallé Youth Choir and Hallé Community Choir. He is also a surtitle operator for Opera North. 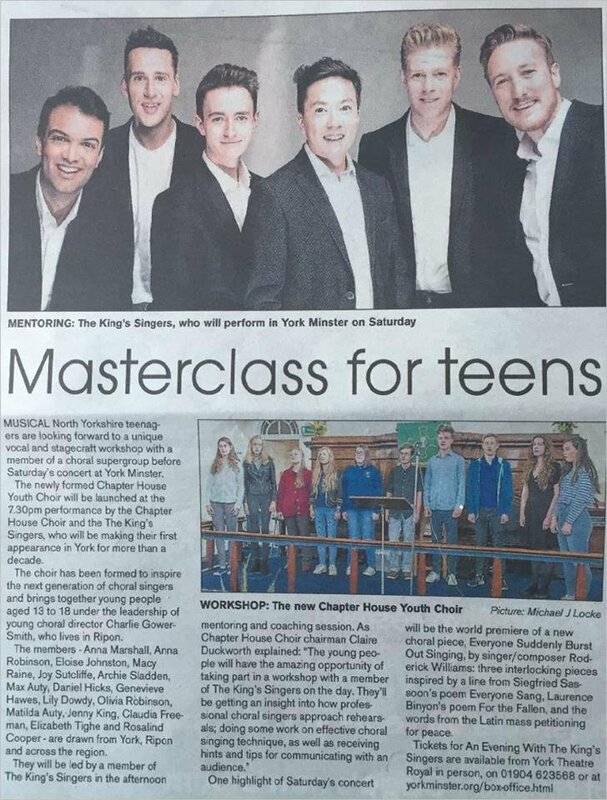 Read the York Press article about the launch of the Chapter House Youth Choir and first performance with the Kings Singers in November 2016. The Youth Choir – 16 teenagers – is shaping up nicely under Charlie Gower-Smith. Its tuning was impeccable and phrasing sensitive, with special rhythmic vigour in a Finzi setting of Bridges.